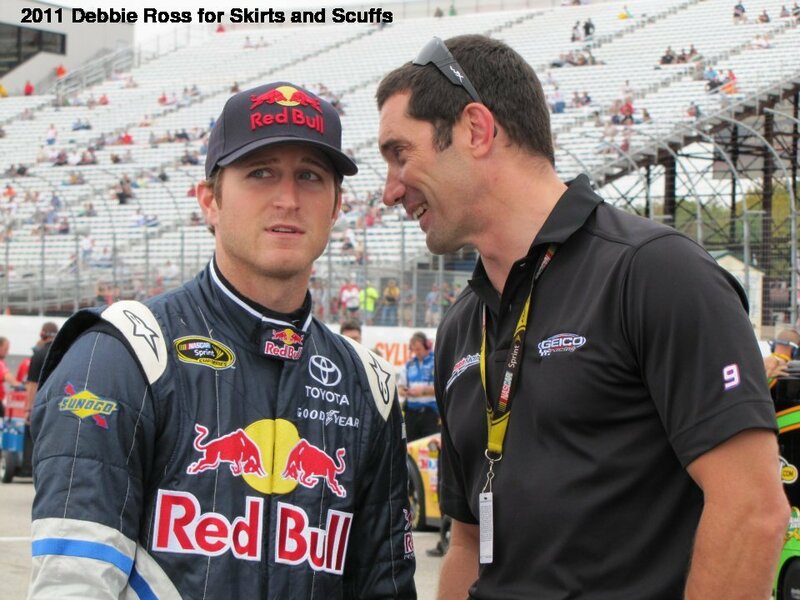 Pocono winner Kasey Kahne with Max Papis. What are they discussing? "Don't worry Kasey ... I'm not slap happy today." "Aw, come on, Kasey, I know it sounds sketchy, but getting a puppy will increase your female fan-base dramatically! Trust me!" "I hope Paulie Harraka doesn't start behind you. He's known to crash into other cars on pit road before the green flag drops." Give me fifty bucks and Rick Hendrick's cell number and I'll tell you where Turn Four is. Seriously. Max: "No, ... Monster tastes better then Red Bull!" I told Tony I needed a break, he took it literally. Thanks for all the great captions. It will be difficult to pick a winner this week! This contest is now closed. Check back on Saturday for the winner.